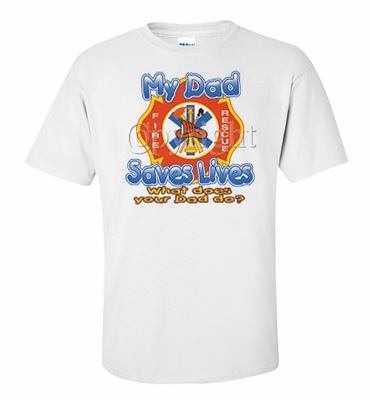 Show your pride for your father with our My Dad Saves Lives, What Does Your Dad Do? shirts and sweatshirts in a variety of colors. We also have My Dad Saves Lives, What Does Your Dad Do? coffee mugs for a great gift choice. Remember� you found the My Dad Saves Lives, What Does Your Dad Do? Shirts at TShirtHub.com, where high quality came at a low price.